The Khwai Community Area is a 180,000-hectare concession of the Okavango, it lies along the northern boundary of the Moremi Game Reserve. There is an unfenced boundary allowing wildlife to move freely between the Okavango Delta and the Khwai concession. 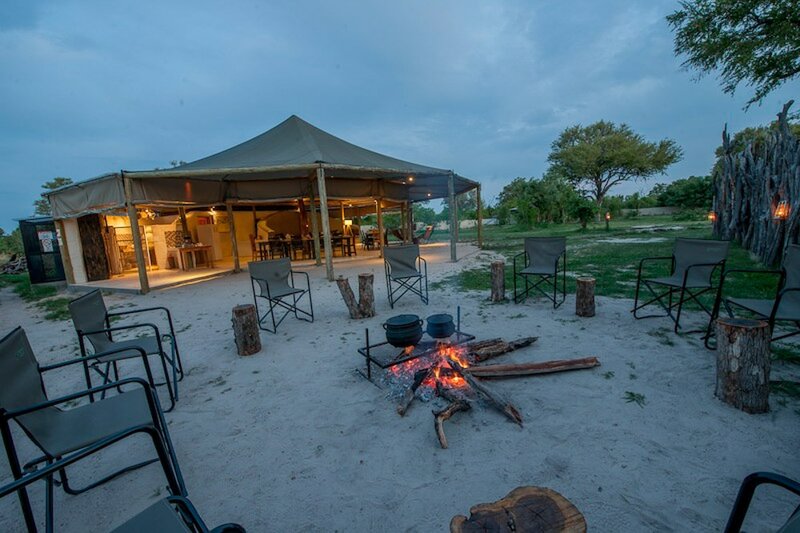 The Khwai Community Area offers the same wildlife experience as Moremi Game Reserve with the added advantage of being a private concession, which allows lodges to offer walking safaris and night drives. The Khwai Community Area, formally a private hunting concession is now managed by the local community as a conservation and ecotourism project. Huge herds of elephants are often seen as they move between the mopane forests and the water systems. This area is also a great place to see the rare Roan and Sable antelope. Populations of lion, spotted hyena, leopard and the African wild dog are also present. The Khwai River is also famous for its variety of birds of prey, most notably the Bateleur Eagle which is seen in large numbers between August and November. Tucked away in the heart of the friendly rural village of Khwai at the doorstep of the Moremi Game Reserve, Khwai Guesthouse opens the door to a true African experience offering a pristine immersion into Botswana’s unique nature and culture. 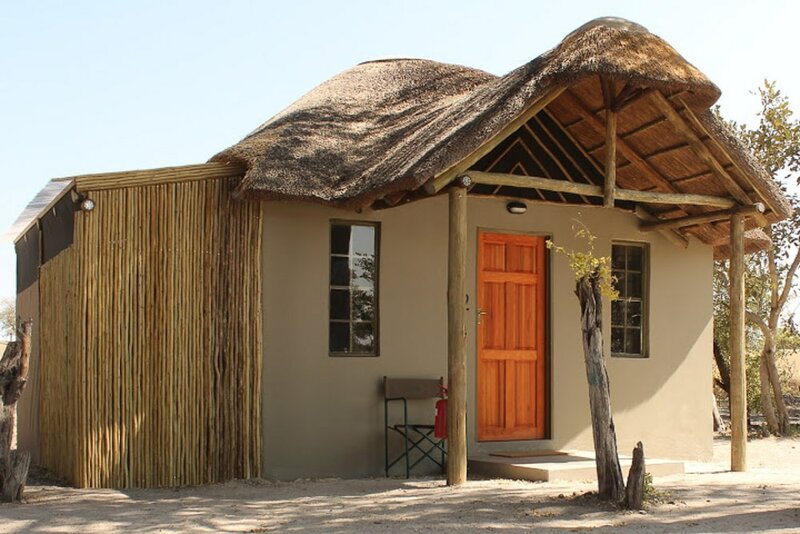 Welcoming guests in 6 en-suite bungalows, Khwai Guesthouse offers a cozy nest from which to experience the traditional lifestyle of this small community set among one of the most spectacular wilderness locations of Botswana. Guests can enjoy the homely restaurant and join some of the many activities on offer such as game drives in Moremi Game Reserve or in the Khwai Community Area for a half day or full day, traditional dugout canoe (Mokoro) excursions on a channel bordering the game reserve, night drives, cultural tour and encounter of the Khwai community. Khwai Tented Camp is an exclusive accommodation in the scenic Okavango Delta and overlooks the banks of the Khwai River. Comfort and luxury is the standard at Khwai Tented Camp with stylish and elegant designed rooms with private en-suite bathrooms and each with their own balcony. The camp is ideal for small groups, families or people who place a premium on privacy. Whether you want to spot birds, experience a night drive or join a walking safari, it is all possible at Khwai Tented Camp. Children of all ages are welcome at Khwai Tented Camp, however, you have to keep in mind that some of the activities are age-related. 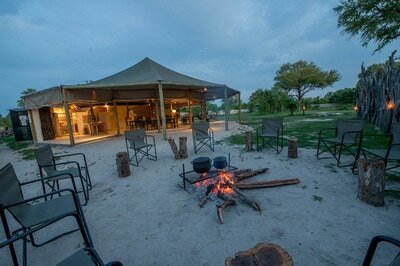 Sango Safari Camp offers guests classic tented accommodation in one of the best wildlife areas in Botswana. 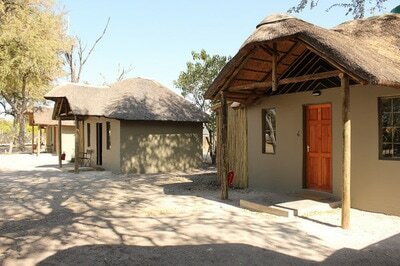 The camp is situated on the border of the Moremi Game Reserve and on the outskirts of the traditional village of Khwai. It, therefore, offers not only a magical bush experience but also the opportunity to learn about the culture and history of the people of Khwai. This intimate camp with only 6 en-suite tents is the perfect location to immerse yourselves in nature and culture. Due to its location on the Khwai River land and water-based safaris are available year round. Sango Safari Camp prides itself on providing guests with an exceptional wildlife experience. The camp will take you back to a bygone era with its classic style, combining a luxurious rustic bush ambience. The staff will thoroughly spoil you during your stay and your wildlife guides will wow you with all of their knowledge and tracking skills. Children over 2 are welcome at Sango Safari Camp.